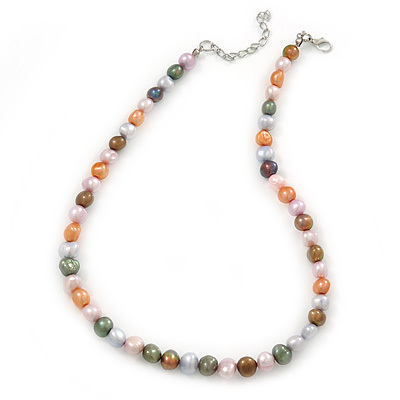 Featuring a single strand design, made of 9mm multicoloured oval freshwater pearls. The necklace has about 39cm L with a 4cm Ext. Fastens with a silver tone lobster claw clasp for a reliable fit.